The Professional Status of the Faculty, including but not limited to policies and procedures relating to faculty appointments, promotion, retirement, separation, tenure and other related matters. B. Receive and review written complaints brought by or against a Faculty member with respect to matters involving academic freedom and responsibility and freedom of teaching and learning and any other matters that might affect his or her professional reputation, impair the execution of his or her professional and University responsibilities, adversely affect his or her economic status, lead to his or her dismissal, or otherwise alter terms or conditions of his or her employment. 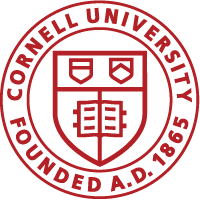 However, for complaints that concern actions governed by Cornell Policies that prohibit, limit or define the review process by the Committee, the Committeeʹs actions will be consistent with those policies. As of 2011, the policies that prohibit, limit or define Committee review are the Sexual Harassment Policy, the Financial Irregularities Policy, the Tenure and Promotions Appeal Process, and the Dismissal/Suspension Policy. C. For a complaint that falls within the jurisdiction of section E of the Dismissal/Suspension procedure adopted in 2007 by the University Faculty Senate and the Board of Trustees, the involvement of the Committee will follow the procedures of that policy. In these cases, the Committee is not required to follow the procedures given in section E.6 of this policy. D. Unless University Policy requires the Committee to entertain a particular complaint, it shall lie within the discretion of the Committee to determine whether it will or will not entertain a specific complaint brought to it. 1.When possible, the Committee should promulgate to the community any criteria it establishes that it will utilize in determining whether or not to entertain complaints. 2. If the Committee determines it will not entertain a specific complaint, the individual or individuals advancing such complaint can appeal such decision to the University Faculty Committee. The University Faculty Committee can uphold the Committee’s decision, direct the Committee to entertain the complaint or direct the Committee to entertain a portion of the issues raised in the complaint or the complaint in some modified form. 3. Once a complaint has been accepted and adjudicated by the Committee, the complaint will not be subject to further appeal within the organization of the University Faculty. 1.Such procedures must comport with the basic precepts of due process. 2. The Committee may utilize subcommittees of its own members to undertake the initial review of complaints brought to it, but all final decisions on any complaint must be by a majority vote of the Committee members attending a meeting of the Committee called to review the complaint. 3. The complainant and the Committee are expected to adhere to the attached set of guidelines for Complaints to the Committee on Academic Freedom and the Professional Status of the Faculty. 4. The Committee shall maintain at all times strict confidence in the handling of individual cases unless otherwise agreed in writing by all parties involved or as required in subsection E.5 below. 5. The complainant shall not be required to keep the Committee’s final report confidential but other recipients shall be requested to do so. However, if the complainant makes public a portion of the report, other recipients may make public the entire report. Moreover, if in the judgment of both the Committee and the University Faculty Committee, public release of a report, in whole or in part, either would clear any individual involved in the proceedings of charges damaging to his or her reputation or serve to clarify incorrect publicity, or provide guidance to the faculty or the University community because of the issues involved, this may be done. The complainant and others involved shall be advised that such a public release is possible. 6. In reviewing complaints in which the appellant is appealing the final decision of a college grievance procedure, the following provisions will apply, except for complaints governed by section E of the Dismissal/Suspension Procedure. a. The Committee will not entertain any complaint until the college level grievance procedure has run its course. b. The committee will not conduct a new independent investigation of the dispute. In the normal course of events, the Committee will base its decisions solely on written records of previous reviews, written records supplied by the parties to the dispute and oral and/or written testimony of the relevant parties. If the Committee finds the previous reviews to have been inadequate or confusing in any way, it should communicate with any of the prior reviewers to discuss its concerns. d. After reviewing a written complaint, the Committee shall issue a written draft report of its findings and any recommendations for action within 90 days of its first meeting to consider the complaint. Copies of this draft report shall be sent to the complainant, other parties to the dispute, and the Dean. All recipients shall be enjoined to keep the draft report confidential and are requested to respond to the Committee within a reasonable time period established by the Committee. Responses should either note agreement with the report or provide suggestions, comments or criticisms as well as any new information relevant to the matter. In the absence of good cause, failure to respond within the specified time period will be construed as being in agreement with the report. After reviewing these replies, the Committee shall prepare a draft final report of its findings and any recommendations for actions. e. The Committee will send its draft final report to the Provost. The Committee understands that the Provost may respond to the Committeeʹs recommendations in whatever way he or she sees fit. However, in the light of the central responsibility given to the Committee in the Universityʹs Academic Employee Grievance Policy [Policy 6.2.10], the importance of fostering an atmosphere of mutual respect and cooperation between the Administration and the Faculty Senate and its committees, and insuring that all faculty members who seek to have a grievance addressed will receive a fair and impartial adjudication of that grievance, the Committee and the Senate request the Provost to follow the procedures listed below in the course of making a final decision on his or her response to the Committeeʹs recommendations. 1.Meet with the Committee, present any additional information regarding the issues addressed in the report, and have a full discussion of the report and its recommendations. 2. Give the Committee sufficient time to issue a final report that may be influenced by discussions with the Provost. The final report will be sent ot the Provost, the complainant, the other principals in the case, and the Dean of the Faculty. 3. In coming to a final decision, carefully consider the rationale behind each recommendation of the Committee in the light of the evidence and the charge to the Committee in subsection 6.c above, and accept the Committeeʹs recommendations unless the Provost finds that the Committeeʹs recommendations are inconsistent with its charge in subsection 6.c above. 4. Come to a final decision on the matter within 90 days of the receipt of the Committeeʹs final report, and send the Committee a written rationale for that decision. a. The Committee will establish ad‐hoc procedures consistent with E.1 through E.5 above, and share them with the interested parties. The Committee will conduct an investigation of the dispute by examining whatever appropriate written documents exist and interviewing the principal parties and any others it deems appropriate. The Committee shall not be required to keep a transcript of its proceedings. The Committee shall maintain a record of the names of the persons interviewed and the titles of the documents considered. b. After reviewing a written complaint, the Committee shall issue a written draft report of its findings and any recommendations for action within 90 days of its first meeting to consider the complaint. Copies of this draft report shall be sent to the complainant, the other principals in the case, the University Faculty Committee of the Faculty Senate, the Dean of the Faculty as well as the person(s) responsible for responding to the Committeeʹs recommendations. All recipients shall be enjoined to keep the draft report confidential and are requested to respond to the Committee within a reasonable time period established by the Committee. Responses should either note agreement with the report or provide suggestions, comments or criticisms as well as any new information relevant to the matter. Failure to respond within the specified time period will be construed as being in agreement with the report. After reviewing these replies, the Committee shall prepare a final report of its findings and any recommendations for actions, and send copies to those receiving the draft report, as well as the Provost and/or President when appropriate. Nine members of the faculty appointed with the concurrence of the Faculty Senate by the Nominations and Elections Committee for three‐year terms. Two student members (of which at least one shall be an undergraduate) with voting privileges, selected annually by the Staffing Committee of the Student Assembly. Reselection of a student for a second year shall be permitted. Student members of the Committee shall not participate in the review process set forth in Subdivision B, C, D and E of the Committee’s Charge. Except as noted specifically below the Committee shall be organized and operate under the Rules and Procedures governing standing committees of the Faculty Senate. This note is designed to help potential complainants bring their concerns before this Committee. This note has been prepared by the Committee, and should be read in conjunction with the charge to the Committee from the Faculty Senate. Complaints typically pass through grievance procedures within individual colleges before reaching this committee. Complaints must be in writing. Complainants should not ask committee members to help in preparing a complaint. The Dean of the Faculty or the Ombudsman may be able to recommend someone willing to assist in this regard. Potential complainants may ask the Committee chair or the Dean of the Faculty to clarify procedures, but lengthy discussion of a case’s merits with these individuals is inappropriate. Complaints are confidential, but not from any Cornell officials who can clarify the facts of the case‐‐including the respondents (those whose actions are the subject of the complaint). As mandated in the Faculty Senate’s charge to the Committee, before issuing a final report the Committee allows complainants and respondents to respond to a draft of that report. However, the Committee does not ordinarily reconsider a complaint after issuing a final report on that complaint. The Committee finally addresses the merits of the complaint. The Committee may appoint subcommittees to collect and report facts, or to draw up written statements of the Committee’s conclusions, but subcommittees do not formulate and submit recommendations. Recommendations on complaints are made only by the full Committee.